1.1 Gold Coins vs. Bullion: Which is Better? 1.2 The Gold Dilemma: Which One Should I Choose? 1.4 ICA recommends the following coins because they are the most widely traded and accepted all over the world. 1.5 We Also Strongly Recommend Bars! 1.6.1 So where do you start? 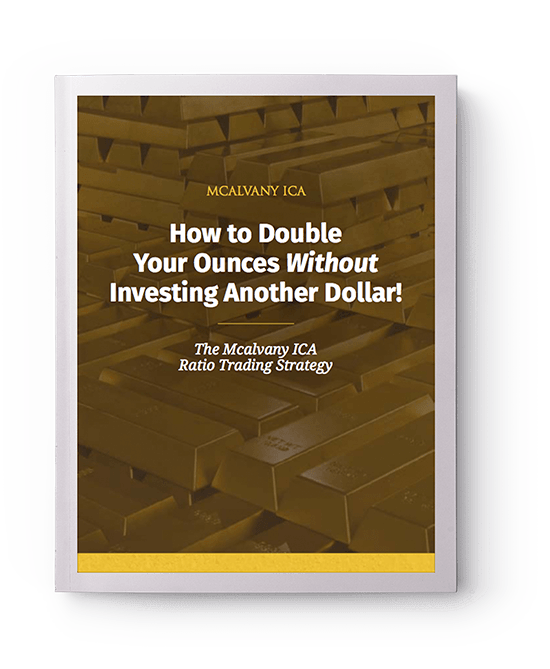 1.8 How Do You Choose A Precious Metals Advisor? For more than six-thousand years, Gold has been considered the most valuable form of wealth storage and asset protection. From ancient Egyptian pyramids to Greek mythology, biblical scripture, or Spanish doubloons, the value of gold is time-tested. Fast forward to modern times, gold is still one of the most valuable forms (if not the most valuable form) of wealth you can own and acquire. At ICA, we specialize in helping investors and savers take the difficulty, risk, and uncertainty out of purchasing, owning, and growing their gold—along with other precious metals—for a balanced portfolio that will stand the test of time. The Gold Dilemma: Which One Should I Choose? You get it—gold is a smart investment and is not going anywhere anytime soon. The world of gold investing can be overwhelming when going it alone. You have lots of options, including bullion, coins, jewelry, artifacts, and gold coins. Gold coins—including gold semi-numismatic and numismatic coins—are considered the most liquid financial asset in the world. 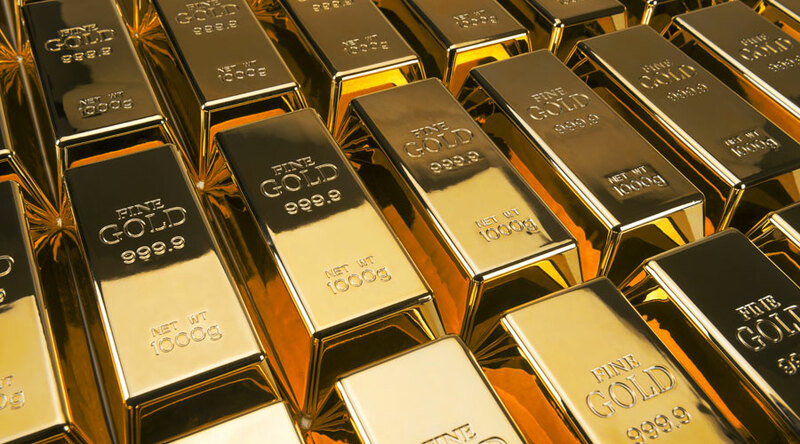 By choosing to own gold coins, you gain all the advantages of gold ownership, as well as some additional benefits unique to coin investors. Here are the top 7 reasons why gold coins are the best investment—and 3 simple steps you can take to get started in gold investing. Gold coins are recognized worldwide and can be transported across borders and distances. They can be carried on your person and easily exchanged for goods and services in an emergency. Gold coin investments come with financial privacy and independence. Small caches can be kept at your home for ultimate privacy and liquidity in an emergency, and gold coins disrupt governmental attempts at financial control over citizens. Unlike paper money, gold holds its value over the long run—it’s immune to inflation, bankruptcy, recession or economic upheaval. For example, in 1933, you could buy a first class, tailor-made suit of clothes with a U.S. $20 gold coin or a $20 bill. Today, that $20 gold coin will still buy a nice suit, whereas a $20 bill cannot even buy a decent necktie. During the Great Depression, cash was considered “king” because cash was backed by gold. However, in truth, gold was king. While other investment assets spiraled toward zero in the 1930s, the price of gold increased dramatically. In a depression, economic crisis, inflation, or war, people seek financial security. They invest in assets that represent more than just a paper promise to pay, including gold coins. Numismatic and Semi-numismatic gold coins have historically carried a greater “upside potential,” (ability to increase in value), giving them an extra advantage over other gold bullion (coin or bar) investments. Unlike bullion coins, which are freshly minted by the millions each year, most semi-numismatic coins are nearly 100 years old and limited in supply. If the price of gold moves up $100 an ounce, a bullion coin would move up a corresponding $100. However, semi-numismatic and numismatic coins have historically doubled, if not tripled, bullion coin price moves. For example: The semi-numismatic $20 Liberty and $20 St. Gaudens gold coins normally have a 20% to 90% premium over bullion. As for numismatic coins, these may have 500-5,000% premiums over their bullion content. In the past, and with relative regularity, the premiums on some mid-to-high grade $20 gold coins have increased by over 100%, and under certain bullish gold market conditions could rise even higher. In today’s rising gold market, the semi-numismatic $20 Liberty and $20 St. Gaudens coins have a substantially greater upside potential than a normal gold bullion coin. Many governments, including the U.S., have a history of confiscating gold bullion coins. “All persons are hereby required to deliver on or before May 1, 1933, to Federal Reserve System all gold coin, gold bullion and gold certificates now owned by them or coming into their ownership on or before April 28, 1933.” — Roosevelt’s Executive Order (dated April 5, 1933). However, there was one type of gold that was exempt from this draconian law – namely, “gold coins having a recognized special value to collectors of rare and unusual coins.” In other words: numismatic and semi-numismatic gold coins. In 1975 Americans were once again allowed to own gold bullion. Yet who’s to say a similar order against gold bullion bars and coins may not go into effect once again? If one does, and past is prologue, collectible numismatic and semi-numismatic gold coins could exempt you from the order. In the recent past alone, investors and savers have lost over $8 trillion in market declines. A spastic economy, with elements of both inflation and deflation, will continue to make more traditional investment strategies obsolete. Prudent investors are beginning to diversify out of financial institutions and paper promises, and into tangible assets. Gold coins provide the only true safe harbor for your investments and should be a major part of every investor’s portfolio to weather the storm of any turbulent financial years or crises. Gold is the best insurance you can purchase for your portfolio — better than the stock market, bonds or other tangible assets. ICA recommends the following coins because they are the most widely traded and accepted all over the world. American Eagles use the durable 22 karat standard established over 350 years ago for gold circulating coinage. They contain their stated amount of pure gold, plus small amounts of alloy. This creates harder coins that resist scratching and marring, which can diminish resale value. Minted to exacting standards, the obverse (front) design is inspired by what’s often considered America’s most beautiful coin: Augustus Saint Gaudens’ celebrated $20 gold piece, minted from 1907-33. The reverse features a nest of American Eagles, symbolizing family tradition and unity. The Royal Canadian Mint was the first world mint to commercially produce 99.99% pure gold. Although this makes the coin “soft” and more easily damaged, this innovation gave the Gold Maple Leaf instant recognition when it was introduced to the bullion coin market years ago, and it remains one of the most well- recognized and sought after bullion coins in the market today. The South African Krugerrand was first released in 1967. For the first 20 years of its existence, it dominated the gold bullion market, and is still the most widely held gold coin in the world today. The obverse of this 22 kt coin depicts Paul Kruger, President of the original South African Republic from 1883 to 1902, and the reverse shows the springbok, the national animal of South Africa. The Krugerrand is available in four sizes: one-ounce, half-ounce, quarter-ounce and one-tenth ounce. We Also Strongly Recommend Bars! Industry standard gold bars are an internationally recognized product made of 24 kt gold. They are unique among gold bullion products in that they include their own unique serial number stamped on the bar, along with their purity. At one time bars were the only way to purchase 24 karat gold at close to bullion prices. As with all bullion products, the bar trades for its content plus a small premium to cover the cost of minting, distributing, and advertising. There has never been a better time than now to invest in gold. Global demand for gold exceeds supply by over 1,000 tons per year, and, to date, central banks have made up the shortfall, suppressing the price of gold by selling or loaning thousands of tons of their gold reserves. However, all that is about to come to a screeching halt. All it would take to spike the price of gold is one major event—an escalation of terrorism in the U.S., an expansion of the war in the Middle East, another stock market meltdown or a major bank failure. Once the price takes off, panic buying would easily set in. If you are not in position before a price explosion starts, your opportunity for profits will be substantially reduced. To safeguard your total financial portfolio, we recommend that you place up to one-third of your investments in precious metals. Connect with a Precious Metal Advisor at ICA to learn how to get started or enhance your current investment portfolio today.